Have you tried using any of these machines? Gym time is important even for recreational users. Every minute counts. That’s why it’s important to use the best equipment that would give you the best results. 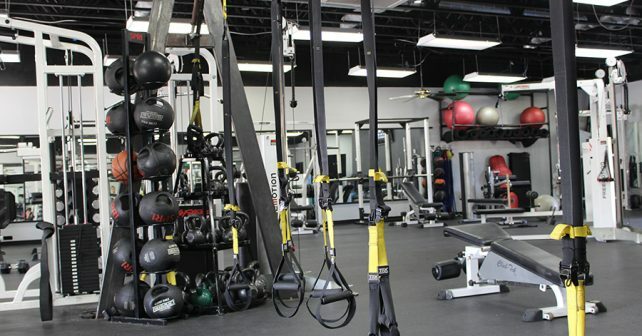 However, with the number of exercise machines available at the gym, how would you pick which one you should work with? The adductor/abductor machine is just one of those machines that would really be awkward if you strike an eye contact with another person while you’re on it. The thigh movement that prompts you to spread and close your legs isn’t as helpful as you think. Your leg muscles are already strong from supporting your weight all day. You’re better off doing squats than using these machines. These machines are thought to improve leg muscles by allowing you to push the weight using your leg muscles. However, your legs are already strong from supporting your body all day, and pushing weights upward doesn’t make it any different. It only works on your leg muscles, and it doesn’t do anything for your posture. You’re better off doing barbell squats that will help a wider group of muscles. You see this machine in many infomercials about ab machines that do nothing to improve your six pack. The seated ab crunch machine has two major flaws – it makes bad posture worse, and it strains your back muscles. To work on your abs, do planking exercises with leg raises to work on your six pack and your core muscles in one exercise. There are some exercises that could help you better develop your arm and core muscles while on a sitting position, but the seated chest press isn’t one of those. The way that the machine is designed makes it possible for your dominant arm to compensate for the weakness of your other arm. This makes development uneven and may prolong your overall progress. A good alternative would be to do good ol’ pushups to create even development on your muscles. The machine is designed to help you develop your hip and thigh muscles, but it created quite the strain on your knees. The knee joint is very sensitive to wear and tear, especially for athletes, and the seated leg extension does unnecessary strain and possible damage to the joint. It is recommended that you do step ups to work on your quads, hip, and thigh muscles while burning a good amount of calories. There’s no better way to maximize your time at the gym by exponentially increasing your gains with the best supplements for muscle gain. One pill of NitroGenix 365 is all you need to help you get the most out of your workouts.